I hope you like charts. Sorry. Here is a picture of Poe. I'm on record as being quite smitten with one Poe Dameron as one of the best things about the new Star Wars trilogy. There has been no shortage of discussion of how he is presented, and the actions he takes, in the latest installment, The Last Jedi. I, for one, think the movie is fantastic top to bottom, but me just saying that isn't good enough. Author-nee-engineer that I am, I had to figure the what, why and how of it all. Let's reverse engineer Star Wars. 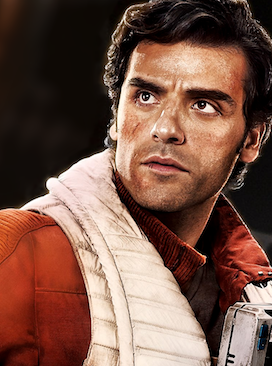 Poe exists for one very simple reason: he is the child of Han Solo. No, that's not a fan theory, I mean he is the spiritual son of the the character type. We have to go back to Han Solo in 1977 to understand him. Star Wars is this beautiful, sort of weird, western-Kurosawa fever dream, and the charming rogue is no stranger in those worlds. Solo is the absolute personification of that - scoundrel with a heart of gold. 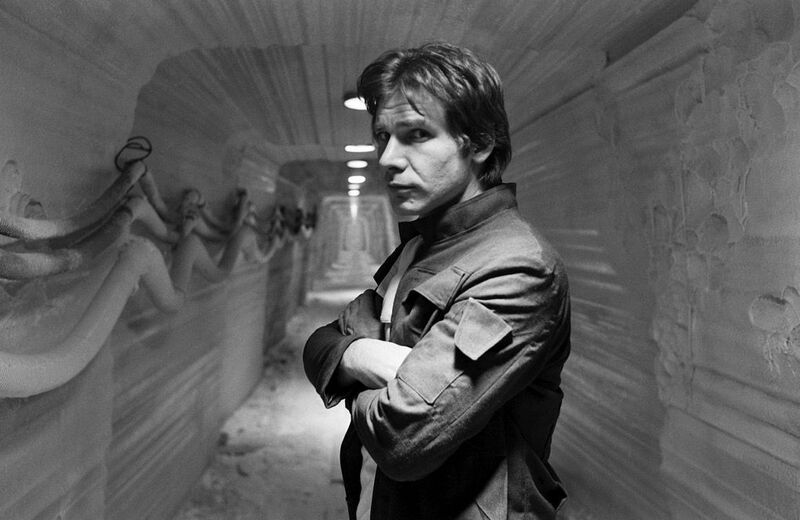 Han has one of the great character arcs in cinema (which I am 100% confident the Solo solo movie will wreck, but whatever) - we meet him, and he is this self-assured, greedy smuggler who doesn't need anyone who doesn't pay, and then his return is awesome because it means he changed. Poe doesn't change a whole lot over the course of The Force Awakens - he believes in the resistance, and is a hero of, start to finish. This only serves to reinforce the lie he believes - that he is always right, and can get away with anything. The funny thing is, though, this is also the lie we, the audience, believe. We are so, so used to characters like this - charming, attractive dudes who break all the rules and get the job done. Everything about Han has changed - now he's not sure he belongs with the Rebels, and he's worried about the price on his head. He made a massive choice that he knew could mean his life in coming back to help blow up the Death Star. Poe, however, has become a little too concerned with himself, instead of doing the right thing - his motivation is still mostly good, but his overconfidence leads to him disobeying orders and common sense. He has changed, too, as a direct result of that lie being reinforced - with dire consequences. 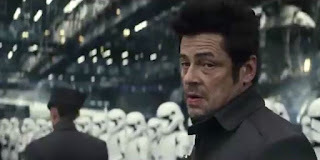 When I first walked out of The Last Jedi, I was unsure of Holdo's actions - why wouldn't she tell Poe the plan, which would save a lot of trouble? His actions - still sure he is infallible and can get away with anything - show that he can't be trusted. By the end of the movie, we see he has learned the lesson, his motivation is no longer selfish, but at great cost. But The Last Jedi does something magnificent - it gives Poe and Han a foil. They never share the screen, but DJ drives home this point, that for all the hearts of gold, good motives and charming scoundrels, there are a million who never care about anything except the money and their own gain. DJ also reflects a rather cynical view - showing that the arms dealers will sell to anyone, and that both sides are corrupt. He's not entirely wrong; but then, neither is Poe. Both think their actions won't have consequences, or they can skirt around whatever they might be. The best part of The Last Jedi is the meta commentary on the state of Star Wars, stories and the way we perceive things. Poe's actions are not out of character; they are more in character than what most movies tell us they would be (see also Skywalker, Luke). It's a brave move, one that plenty of people aren't happy with, a good reminder that we all have lies we believe.